Get Certified with our Online Courses in Artificial Intelligence, Machine Learning, Business Intelligence, Data Visualization, Deep Learning, Big data and Hadoop, Internet of Things (IoT), Cloud Computing, SalesForce, Statistical Analysis. Machine learning (ML) is an art of developing algorithms without explicitly programming. In the past two decades, exabytes of data has been generated and most of the industries have been fully digitized. This existing data is used by Machine learning (ML) algorithms to develop predictive models and automate several time-consuming tasks. For a logic based algorithm, flow is well defined and known in advance however there are several real-life scenarios (such as image classification) where logic can’t be defined. In such cases, Machine learning has proven to be extremely useful. Machine learning techniques take input parameters & expected reference output data and generate logic which is then deployed into production. Supervised ML algorithm takes input data (features) along with output labeled data at the input. They are mostly used for classification and regression tasks. Loan Eligibility Decision: Automate loan approval process using past data having parameters such as age, income, education, city, etc. to decide if the applicant’s loan can be approved. House Price Prediction: Predict house price using features like House size, an age of the house, number of rooms, locality, etc. Unsupervised ML techniques do not require any labeled data and are used for clustering data into different segments based on input features. Example: To segregate a group of 100 people into 5 clusters, input features can include interests, hobbies, social connections, etc. In the past decade, introduction to machine learning has transformed several industries, including healthcare, social media, digital marketing, real estate, logistics, supply chain & manufacturing. Early movers in these industries have already reaped significant profits. There is a growing demand for a skilled workforce with machine learning along with domain knowledge. To classify mail as spam/not spam using labeled responses with using data such as message content, use of vocabulary used in promotional emails, sender email address, sender IP, use of hyperlinks, number punctuations, etc. ML is increasingly being used in healthcare for diagnosis and even for cancer detection using medical data for previous patients. For breast cancer detection, the training algorithm takes inputs such as tumor size, radius, curvature, and perimeter as input. At the output, we get the likelihood if the tumor is malignant or not. An increasing number of vendors are digitizing their records, many of them have started using machine learning tools to predict sales of the particular item in a given week so that they can stock a sufficient amount of inventory. Introduction To machine learning techniques would take inputs from previous year’s sales for different items and find patterns for seasonal variations and give specific predictions for the sale of certain items. We can also identify low performing items in terms of sales. You have probably observed while uploading pictures on Facebook that it tags your friend’s faces to their names. In the backend machine/deep learning algorithms are doing this job. The same fundamental introduction to machine learning principles is also used for face recognition, where input face images are fed and neural networks are trained to classify these images. With increasing population coming online, it has become mandatory for website/social media companies such as Twitter, Facebook, Quora to deploy text classification based systems. Twitter/Quora uses this to identify hate comments/posts. Some news companies also use text classification algorithms to group news articles which are similar. Ever wonder how devices like Alexa, Siri, Google are becoming intelligent day by day in understanding audio data in different languages with different accents. A huge amount of data is trained in these devices to introduction to the machine learning techniques, which makes it possible. Netflix uses unsupervised ML to recommend movies while Amazon uses it to recommend products to buy. ML-based applications have automated several tasks like low-level decision making, data entry, tele-calling, loan approval processes. Once the algorithm is developed and put it into production, it can cause significant cost saving as human labor and decision making is minimal. For a lot of application, total time is of paramount importance. ML has been able to reduce time in domains such as auto insurance claims where user uploads pictures and insurance amount gets calculated. It has also helped e-commerce companies in handling returns of inventory sold. Not only corporates but a lot of governments are relying on ML to make decision making in deciding which projects to invest in and how to optimally utilize existing resources. Lots of times, input data to the ML algorithm is biased to a specific gender, Race, Country, Caste, etc. This results in ML algorithms propagating unwanted bias into the decision-making process. This has been observed in some applications which deployed ML-like school/college admission process and social media recommendations. 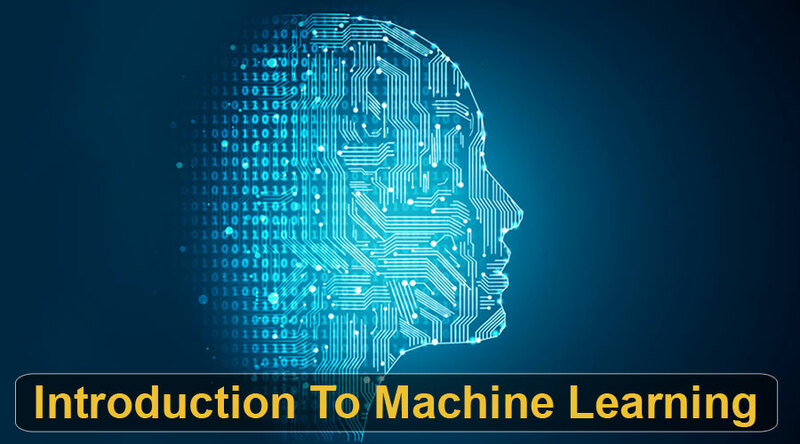 While people can learn easily for small datasets, for some applications, introduction to machine learning requires huge amounts of data to achieve sufficient accuracy. Recently Cambridge Analytica, an analytics firm used ML algorithms on social media to target and influence voters’ decision. ML technique trained on current dataset may not be well suited for the future as input distribution may change significantly over time. One of the countermeasure to overcome this is to re-train model periodically. What is Agile and Scrum? What is Microsoft Power BI? What is Big Data Technology? What is Docker in Linux? What is Big data analytics? Is Big Data a Database?